Looking for a quick an easy improvement to your workplace? Want to make your business more aesthetically pleasing to customers and staff alike? Interior plants offer a solution for you. Plants can brighten up a workplace; complement the decor, add an artistic element and offer health benefits too. With options ranging from outright purchase, plant maintenance contracts, rentals with office plant maintenance included, plants can be tailored to all budgets and the needs of each individual workplace. Replica flowers can be had for an artistic display and contemporary, no maintenance still life, displays will certainly catch the eye. Using artificial plants not only takes away the need for office plant maintenance but also allows plants to be made to order to suit very specific requirements. These are often used in low light or hard to access areas where live interior plants are unsuitable. They are extremely realistic and comply with safety requirements. The real draw though is live plants. Normally taken on a rental agreement comprising an office plant maintenance contract to take the hard work out of your hands, although outright purchase is available with a maintenance contract as well, interior plants can be designed to suit any business. The benefits of live plants are well known. Recent studies have shown dramatic drops in overall stress levels in the workplace when interior plants are introduced. 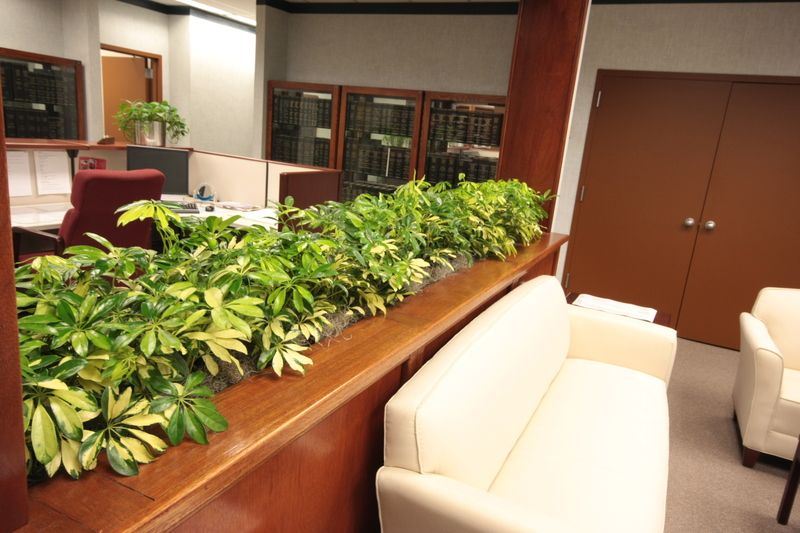 Live office plants filter the air removing toxins and pollutants, add oxygen and increase humidity. All of these combined can increase productivity and lower absenteeism. Any business would welcome these beneficial effects of office plants. Another draw is the effect on customers. Interior plants soften the workplace and put visitors at ease so helping you sell your goods and services. The workplace is transformed into a more natural, relaxing, welcoming and habitable environment with the installation of plants, both live and replica. Research has highlighted both customer’s positive reactions to interior plants and that of employees. While not costing the earth, with the costs able to be spread over periods of time, office plants are an option the modern workplace cannot ignore. The hassle of design, planning and installation is taken care of for you. Even office plant maintenance need not bother a business. Interior plants are a welcome, even necessary, addition to the workplace with tangible benefits for employees, customers and the business owner alike.